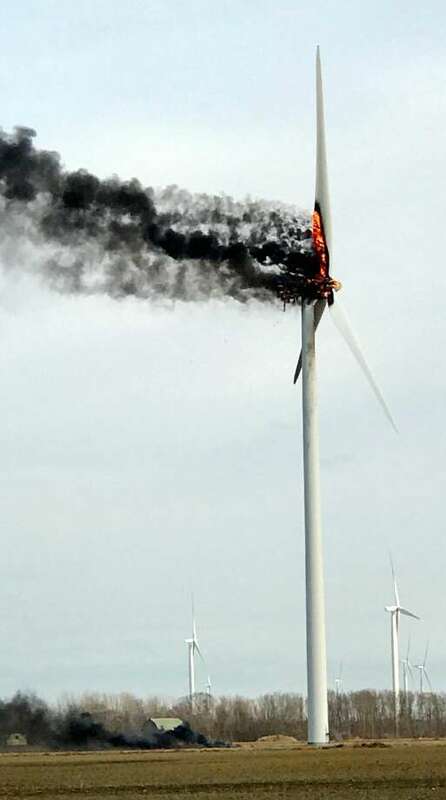 OLIVER TOWNSHIP, Mich – The Huron County Sheriff says a wind turbine is on fire in Oliver Township on Elkton Road near Berne Road. Sheriff Kelly Hanson says firefighters are keeping people away from the turbine and are letting the fire burn itself out. The wind turbine is owned by the Exelon Company.